Early warning systems for deep-seated landslides are recommended to have three levels; ordinary, pre-alarm, and alarm. Defining landslide kinematics threshold values for each level is difficult due to the large variability of geological and meteorological conditions of each site, coupled with the social implications of false and missed alerts. Although historical pre-failure values of velocity and acceleration may be used as thresholds for the alarm level, thresholds for pre-alarm level are indefinite since it is based only on the seasonal oscillations of the landslide displacement. To create a systematic and robust method of defining pre-alarm threshold values based on historical values of displacement, we evaluate the performance of four different landslide kinematic thresholds namely, displacement, average velocity, spline computed velocity, and spline computed acceleration, in predicting landslide acceleration using receiver operating characteristic convex hull analysis. We select the optimal parameter depending on the cost of false and missed alerts. We use the ground data of the 50 identified deep-seated landslide risk sites of the Philippine Institute of Volcanology and Seismology - Dynaslope Project to evaluate the performance of these parameters. We found that the spline computed quantities provide the optimal parameter for majority of the displacement data. The obtained threshold values were consistent in order of magnitude demonstrating the robustness of the method. In future studies, other external landslide triggering factors may be included in the selection process. L. Lorenzo, R. Saturay, C. Bontia, and R. Solidum. 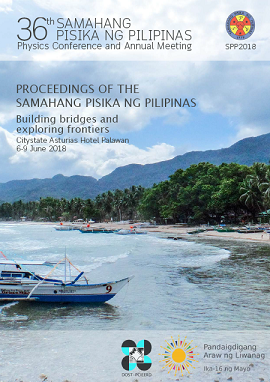 Obtaining pre-alarm thresholds for deep-seated landslides using receiver operating characteristic convex hull analysis of slope kinematics, Proceedings of the Samahang Pisika ng Pilipinas 36, SPP-2018-2G-03 (2018). URL: https://paperview.spp-online.org/proceedings/article/view/SPP-2018-2G-03.